There are six Ford drivers who will compete in The Clash, including all three Team Penske drivers in Ryan Blaney, Brad Keselowski and Joey Logano. Kurt Busch and Kevin Harvick will be the Stewart-Haas Racing participants while Ricky Stenhouse Jr. carries the Roush Fenway Racing banner. Joey Logano snapped a 13-year Ford winless drought when he won The Clash last year, making him the manufacturer’s first victor since Dale Jarrett in 2004. Logano found himself in the right place at the right time to take the win. This was Logano’s first Clash win of his career. Four Ford drivers finished in the top six spots as Danica Patrick was fourth, Kevin Harvick fifth and Keselowski sixth. Dale Jarrett won his third Budweiser Shootout on Feb. 7, 2004 in his No. 88 UPS Taurus, which represents the last time Ford has won the event. The race was broken up into two segments – an initial 20-lap run followed by a 50-lapper to the finish – and marked the beginning of Nextel as series sponsor. Jarrett and Kevin Harvick were side-by-side at the white flag, but Dale Earnhardt Jr. gave Jarrett the push he needed to complete the pass on the outside going through turn one. 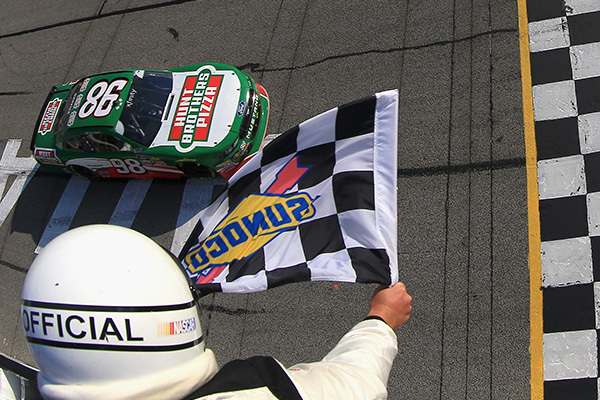 The race finished under green with Jarrett holding off Earnhardt Jr. for the win. In 2017, NASCAR announced new Monster Energy NASCAR Cup Series engine rules which would be implemented starting with the 2018 Daytona Clash. This video reviews the new 2018 MENCS engine rules. Catch all the action of the Daytona Clash on February 11th at 3:00 PM ET on FS1. 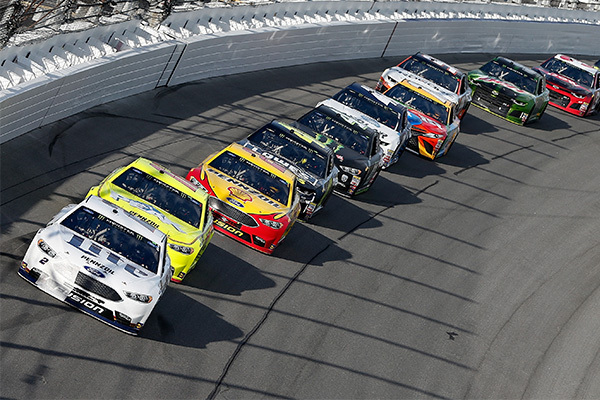 MOORESVILLE, NC, February 13, 2018 –When it comes to racing at Daytona and Talladega in recent years no manufacturer has had more success than Ford, which goes into this year’s Daytona 500 with a seven-race restrictor plate winning streak (not counting Brad Keselowski’s victory in Sunday’s Clash). And while anything can happen when cars are running two and three-wide at speeds around 200 miles per hour, the confidence level for extending it in 2018 is high. And while that may sound like a bold statement, consider that Ford’s run of dominance hasn’t just been over the last two years. 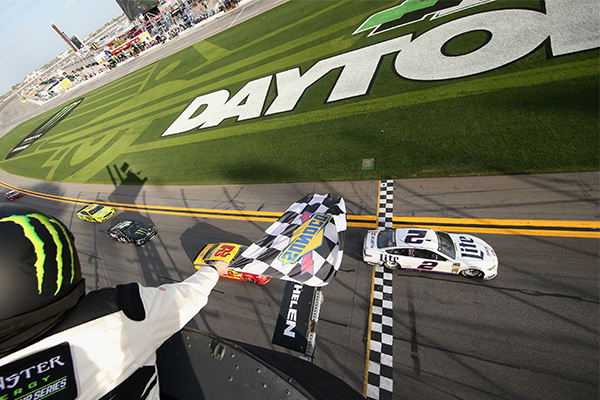 Since Trevor Bayne took the Wood Brothers to Victory Lane in the 2011 Daytona 500, Ford has won 16 of the 28 Monster Energy NASCAR Cup Series events at Daytona and Talladega. Eight different drivers representing six organizations have registered at least one win during the stretch, including four first-time winners — Bayne, David Ragan, Aric Almirola and Ricky Stenhouse Jr. — proving that there is strength throughout the Ford program. The one common denominator in all these wins has been under the hood as Roush Yates Engines continues its legacy of being a restrictor plate king. Since Robert Yates and Jack Roush merged their engine operations in 2004, the group has won the Daytona 500 five times and has posted 20 series victories at Daytona and Talladega. One driver who will likely be viewed as a favorite based off his two wins from a year ago is Stenhouse, who will be starting his sixth full season driving at the Cup level for car owner Jack Roush. Another is Busch, who got a helpful push from Ryan Blaney to pass Kyle Larson on the final lap to win last year’s season-opener. 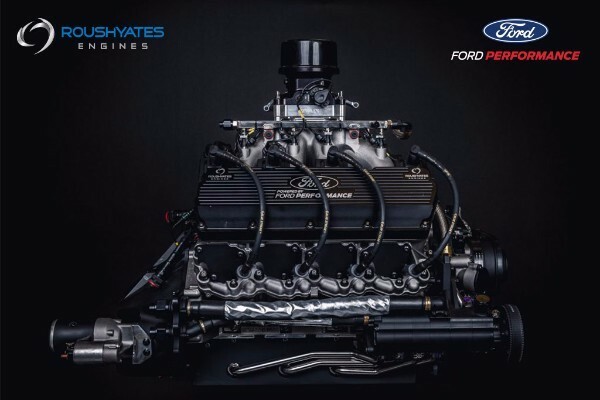 MOORESVILLE, NC, February 22, 2018 – Roush Yates Engines and Nikon Metrology (Brighton, MI) announced a multi-year partnership program, demonstrating Roush Yates Engines’ commitment to partnering with the best-in-class companies. With over a 100 years of experience Nikon provides world-class precision equipment and metrology solutions to the manufacturing, aerospace, automotive and medical fields. Nikon’s LC15Dx Laser Scanner provides a unique 3D visualization of dimensional quality using Color Mapping. In addition, Nikon’s unique ESP3 technology maintains accuracy, speed and data quality by adapting the laser settings in real-time, improving efficiency and part quality data accuracy. 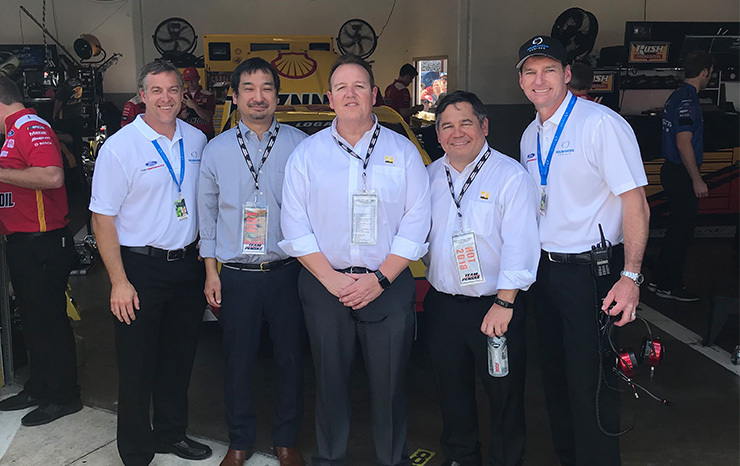 “These advanced capabilities allow our team the ability to measure and analyze a larger array of parts, each with varying geometry and materials, with a single piece of equipment,” said Chad Johnson, Roush Yates Engines Quality Manager. 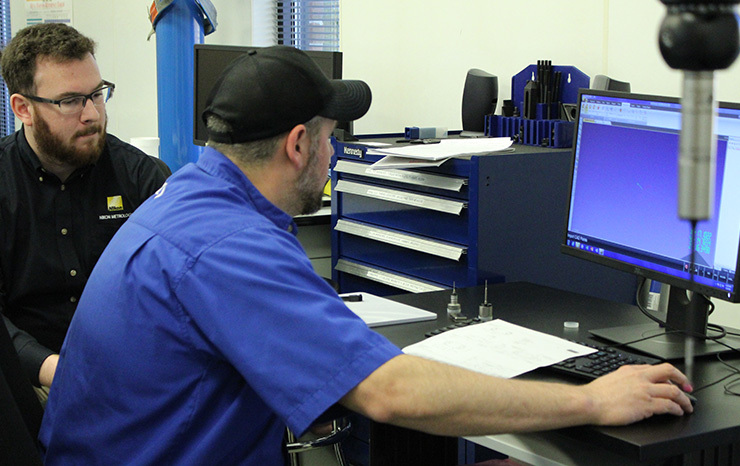 “In addition, Nikon’s CMM Manager software, provided for all of Roush Yates Engines CMM’s will save considerably on programming time,” Johnson added. The iNEXIV Vision System was also added to the Roush Yates Engines lineup of inspection equipment. 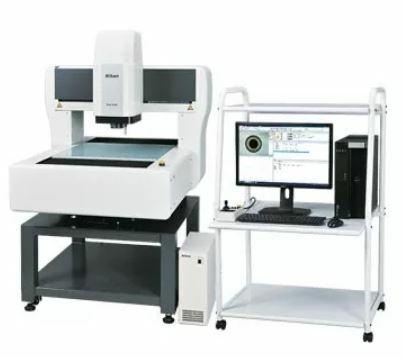 This CNC video measuring system is ideal for both large and tall mechanical parts and uneven surfaces, in addition to providing a broader XYZ measurement range, which is ideal for analyzing complex geometry engine components. Nikon Metrology offers the most complete and innovative metrology product portfolio, including state-of-the-art vision measuring instruments complemented with optical inspection and mechanical 3D metrology solutions. These reliable and innovative products respond to the advanced inspection requirements of manufacturers active in consumer, automotive, aerospace, electronics, medical and other industries. Nikon celebrated its 100th year anniversary in 2017 as a pioneer in optical technology development and product innovation. For more information, visit www.nikonmetrology.com. Product-related inquiries may be directed to Nikon Metrology, Inc. at (800) 552-6648 or sales.nm-us@nikon.com. MOORESVILLE, NC, February 24, 2018 – Ford Chip Ganassi Racing has announced the 12 drivers who will race the four Ford GTs at the 24 Hours of Le Mans this summer. HAMPTON, GA, February 26, 2018 – Kevin Harvick, driver of the No. 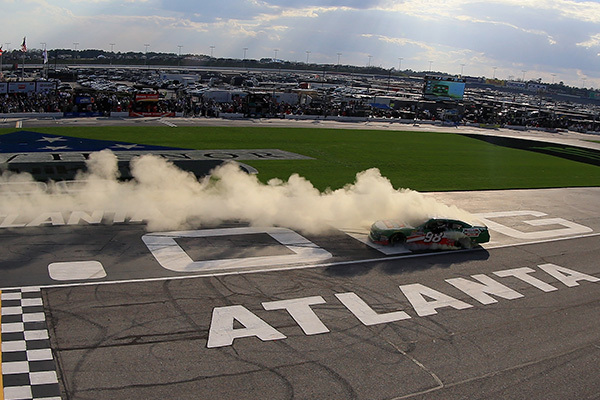 4 won back-2-back races at the Atlanta Motor Speedway and recorded Stewart-Haas Racing’s 40th points win. 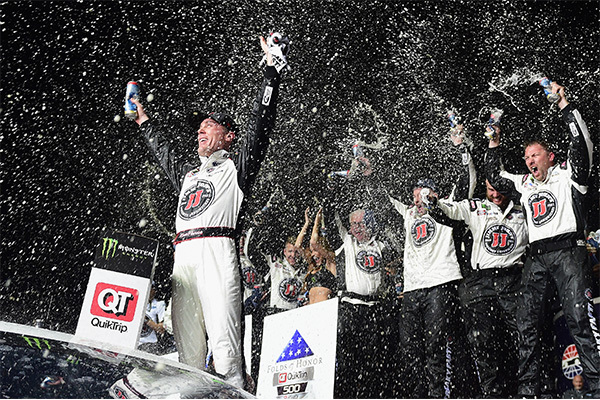 Harvick in his Ford Fusion won his second career Monster Energy NASCAR Cup Series race at Atlanta, with Ford teammates, Brad Keselowski and Clint Bowyer sweeping the top three spots in the Folds of Honor QuikTrip 500. Harvick with the Ford FR9 horsepower under the hood of the Ford Fusion dominated the race by leading 181 out of the 325 lap race and recorded a new track record for total laps led (1,152). After winning Stage 1, the race came down to a 22 lap shootout between Harvick and Keselowski. Lined up side-by-side on the front row, Harvick launched the No. 4 on the restart and never looked back until he took the checkered flag, finishing 2.690 seconds ahead of Keselowski to take home his first Cup win at Atlanta since 2001. “Harvick was in a league of his own today,” commented Keselowski. Joining Harvick, Keselowski and Bowyer in the top-10 were Joey Logano in P6 and Kurt Busch in P8. In the NASCAR Xfinity Series, Harvick drove the No. 98 Ford Mustang to win the first NASCAR Xfinity Series race for new team partners Stewart-Haas Racing with Biagi-DenBeste in the Rinnai 250. Ford teammate, Joey Logano in the No. 22 made it a 1-2 finish on the 1.5-mile track. Harvick, starting in the fifth position took control of the race early on by winning Stage 1 and Stage 2. Harvick seemed to be on cruise control, putting the 98 in the right spot at the right time with perfect execution to lead 141 laps out of the 163 lap race, recording his fifth career NXS win at Atlanta. Four Fords finished in the top-10. Harvick and Logano were followed by Team Penske teammate Austin Cindric in P7 and Ryan Reed from Roush Fenway Racing in P10. The Ford teams will ride this momentum out west to Las Vegas this weekend. 14 CHAMPIONSHIPS – 317 WINS – 282 POLES!